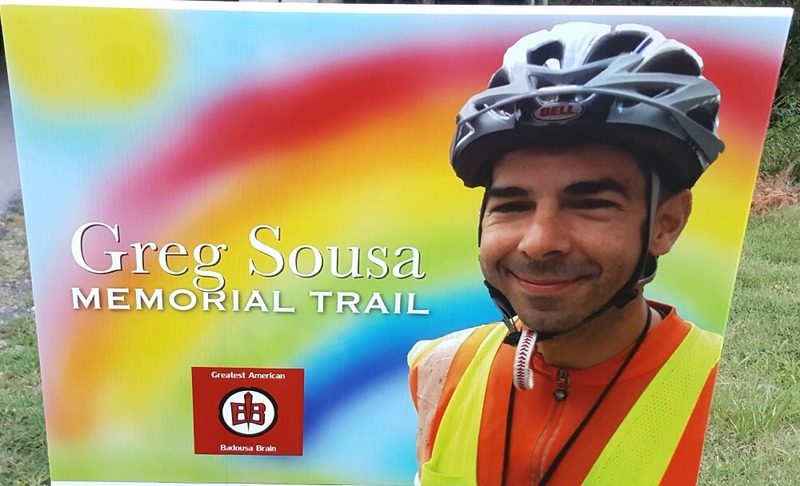 In July 2016 we lost one of the nicest guys you would ever have the honor to meet - Greg Sousa. In his short 47 years on this planet Greg left a legacy of kindness, generosity, love and compassion. 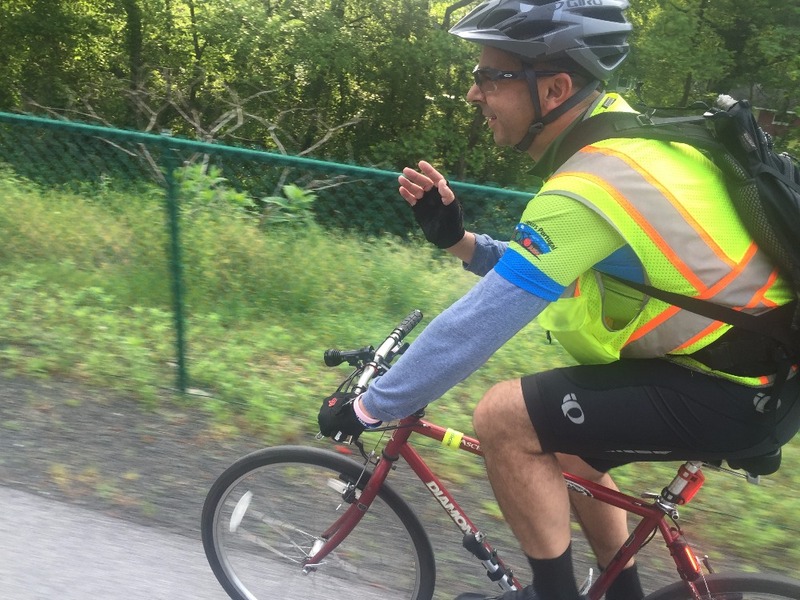 Prior to his last stages of illness, Greg was an avid bike commuter and used the American Tobacco Trail to travel to and from his job, for fitness and to keep moving during times of recovery as he battled cancer. Shortly after the memorial service for Greg, an anonymous person posted two signs on the ATT as a tribute to Greg. One of those signs is still standing three months and one hurricane later. The loving gesture started a spark that has been slowing smoldering. Now, with the preliminary approval of the City of Durham Parks and Rec and Sara Sousa we are a happy to announce we are going to install Greg Sousa Memorial Bike Repair stations along the ATT! 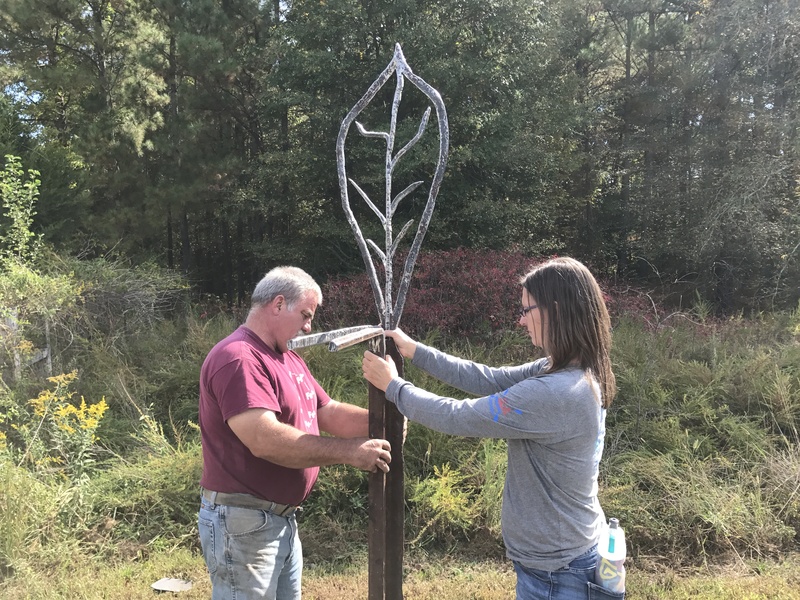 The bike stations will be individually designed by Durham metal sculptor Al Frega with a Durham theme using reclaimed materials. Each station will be fully functional and include bike rack, tire pump and basic tools and an acknowledgement to Greg and his love of the ATT. We are hoping to raise enough money to install 3 bike stations. The goal is to extend help to as many trail riders as possible and honor Greg's memory of helping those in need. This project also accepted donations via GoFundMe.com. Durham Parks Foundation accepted donations in the event the donor wished to have their donation be tax deductible. The success of this campaign resulted in the installation of 3 bike stations along the American Tobacco Trail.